regional and site specific local spectral attenuation relations at different geometrically central frequencies in the low, moderate and high frequency bands. 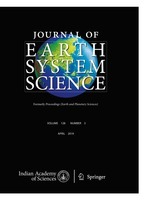 A comprehensive analytical as well as numerical treatment of seismological, geological, geomorphological and geotechnical concepts has been implemented through microzonation projects in the northeast Indian provinces of Sikkim Himalaya and Guwahati city, representing cases of contrasting geological backgrounds – a hilly terrain and a predominantly alluvial basin respectively. The estimated maximum earthquakes in the underlying seismic source zones, demarcated in the broad northeast Indian region, implicates scenario earthquakes of $M_W$ 8.3 and 8.7 to the respective study regions for deterministic seismic hazard assessments. The microzonation approach as undertaken in the present analyses involves multi-criteria seismic hazard evaluation through thematic integration of contributing factors. The geomorphological themes for Sikkim Himalaya include surface geology, soil cover, slope, rock outcrop and landslide integrated to achieve geological hazard distribution. Seismological themes, namely surface consistent peak ground acceleration and predominant frequency were, thereafter, overlaid on and added with the geological hazard distribution to obtain the seismic hazard microzonation map of the Sikkim Himalaya. On the other hand, the microzonation study of Guwahati city accounts for eight themes – geological and geomorphological, basement or bedrock, landuse, landslide, factor of safety for soil stability, shear wave velocity, predominant frequency, and surface consistent peak ground acceleration. The five broad qualitative hazard classifications – ‘low’, ‘moderate’, ‘high’, ‘moderate high’ and ‘very high’ could be applied in both the cases, albeit with different implications to peak ground acceleration variations. These developed hazard maps offer better representation of the local specific seismic hazard variation in the terrain.